Maggie Anton, award winning author, will be at TBE, Oct 27-28. 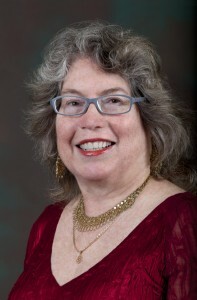 Maggie Anton, Talmud scholar and author of the series, Rashi’s Daughters, Rav Hasid’s Daughter, and her latest- 50 Shades of Talmud will be with us at TBE. Ms. Anton, comes from LA, where she was raised in a secular, socialist household, with little knowledge of her Jewish roots. She discovered Judaism as an adult when she joined a women’s Talmud class. To her surprise, she fell in love with Talmud, a passion that has continued for twenty plus years. On Friday night, Oct 27th, 7:30 the Women of TBE are planning a dinner in the Social Hall. Ms Anton will speak to us, at that time, on her passion for Talmud, Jewish history, the portion of the week, and how she came to write these books (while raising two kids and working full time as a clinical chemist). Dinner will be a choice of chicken, salmon, or vegetarian. More details and sign up will be found at https://wtbe.org/whats-happening/programms/maggie-anton-at-tbe-oct-2728-2017/. Cost of the dinner is $18 per person; RSVPs required. On Saturday, Oct 28th, Maggie will be speaking to us at 1:30, in the Sanctuary. Her talk this day, co-sponsored by the TBE Library, will be 50 Shades of Talmud and she will talk about both the book and how her research led her to become an expert on sexuality in the Talmud. Because it is going to be Shabbat when Maggie is here, we will NOT be able to sell books or accept checks, except before services Friday night. You have the opportunity to pre-purchase books (which gives you a chance to read them) from Maggie Anton on the WTBE website listed above. You can also purchase the books through Amazon and B&N. She will personalize and sign the books while here, both Friday night and Saturday.